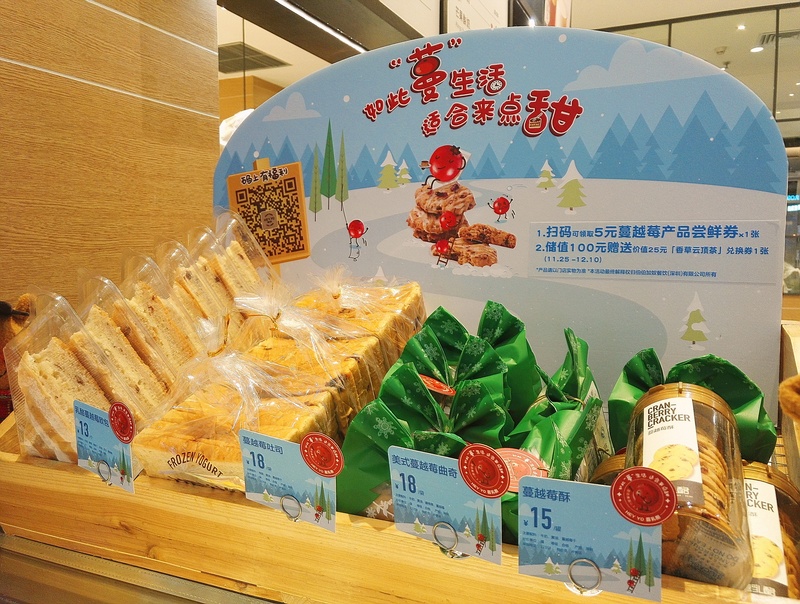 From November 25 to December 25, a cranberry promotion was jointly held with the yogurt chain Hey_Yo, at its 29 outlets in various Southern China cities including Shenzhen, Dongguan, Guangzhou and Foshan. 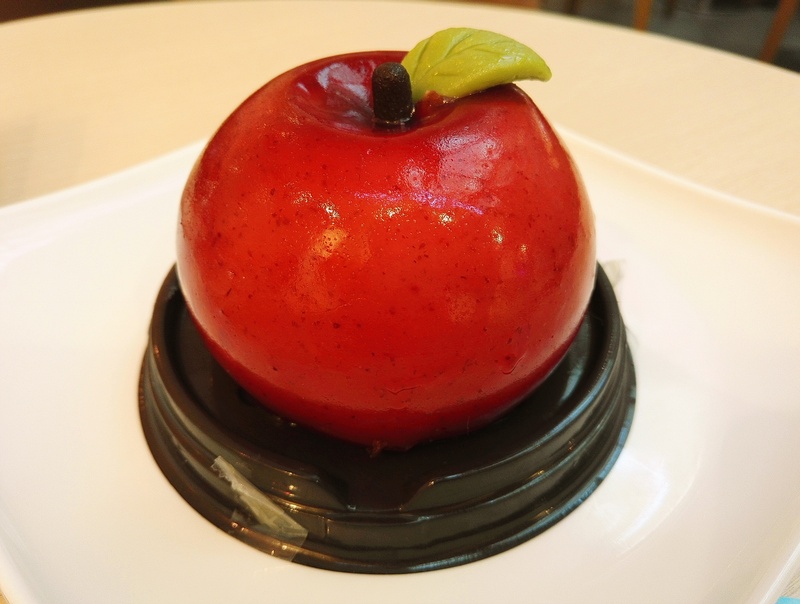 This promotion aimed at enhancing awareness of U.S. cranberries and their applications in the dessert restaurant and bakery sectors. 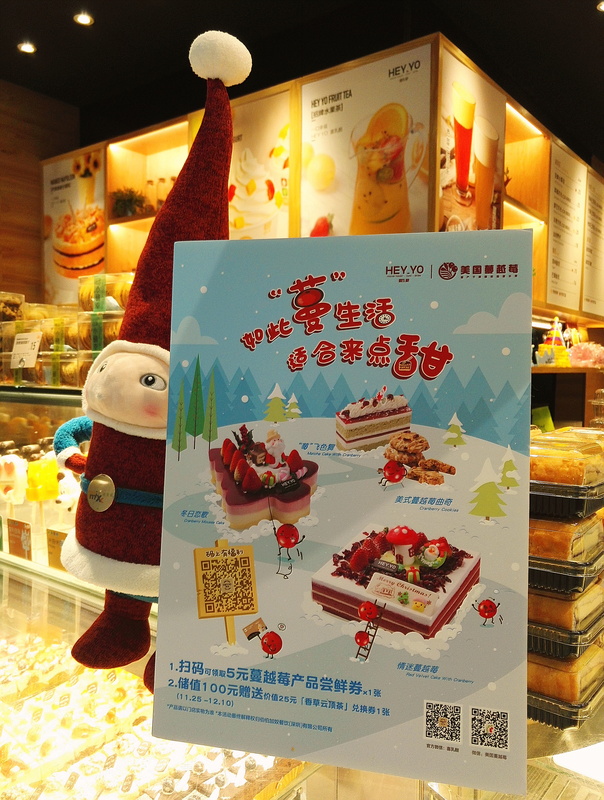 The theme of this promotion was “Enjoy Cranberry Life with Sweet Treats”. 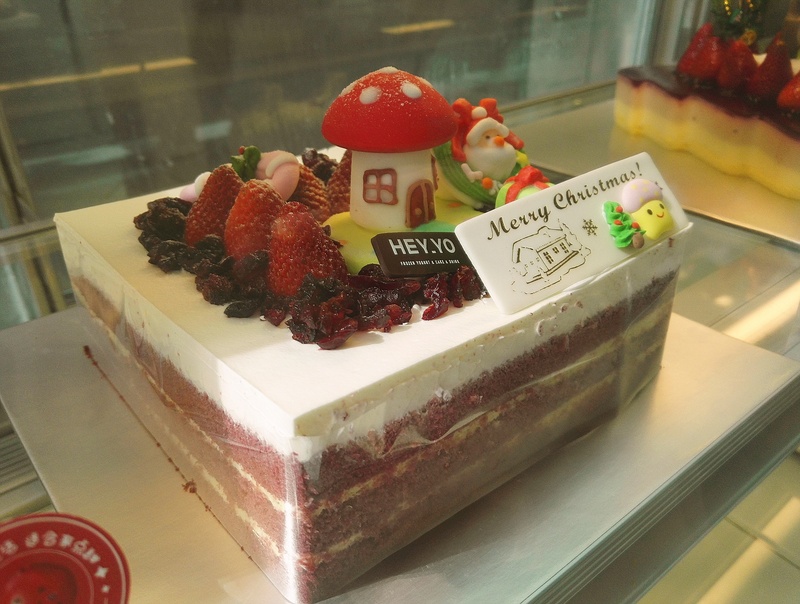 The promotion featured nine new cranberry products developed by Hey_Yo such as Red Velvet Cake with Cranberry, Cranberry Mousse Cake, Matcha & Chocolate Cake with Cranberry, and Cranberry Yogurt etc. Customers who activated Hey_Yo’s Wechat membership cards each got one RMB 5.0 coupon which they could use to buy any cranberry product. During the promotion, the participating Hey_Yo outlets were decorated with U.S. Cranberry liveries including flags, posters and table-top tent cards. 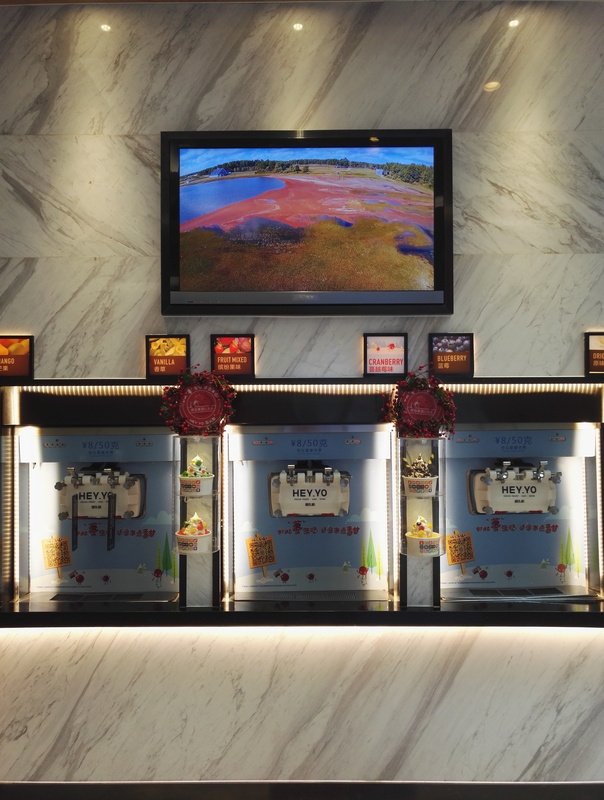 Special displays of cranberry products were also arranged while the video showing cranberries harvest was played continuously on the stores’ TV monitors. The promotion was heavily advertised in Shenzhen, Hey_Yo’s stronghold. CMC poster ads appeared in 2 subway lines on the train carriage doors, windows, chairs and walls for one month. They showed CMC’s and Hey_Yo’s logos, and various cranberry products. According to official data provided by Shenzhen Metro, the potential total reach was 4.7 million (opportunity-to-see) during the advertising period. Wechat was also used to create consumers’ awareness of the promotion. An advertisement with cranberry products was placed on the Wechat Moments (a special value-added function by Tencent which operates the social media tool) and got 683 thousand impressions. One new media publication “Guangzhou Modern Lifestyle” published an advertorial on its official Wechat account, which received 37,550 clicks. Additionally, CMC and Hey_Yo Wechat official accounts posted relevant contents about the promotion, receiving a total of 26,032 clicks. To generate more mileage from this promotion, MZMC issued corresponding press release to influential media in Southern China. This effort resulted in having the promotion reported by 2 newspapers (Guangzhou Metro Daily and Shenzhen Metro Daily) and 1 magazine (Seaside). These were expected to reach 2.3 million readers totally. 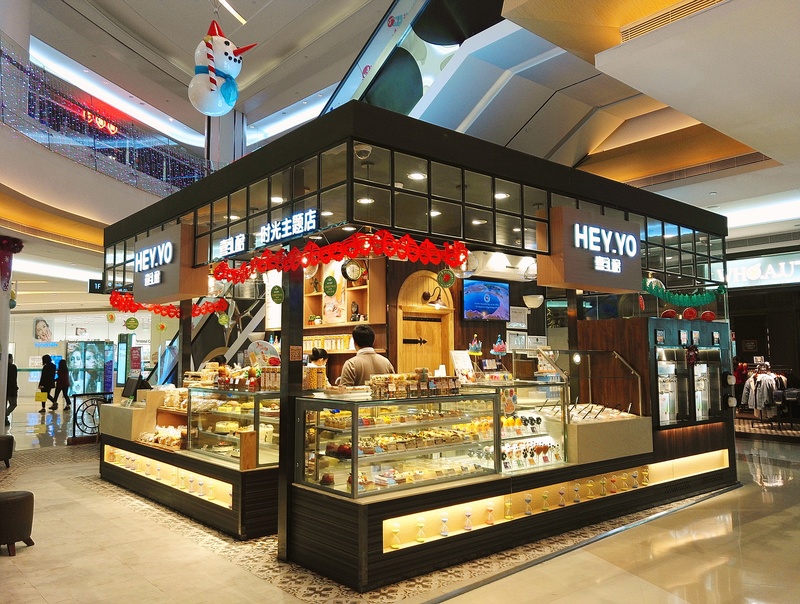 This successful promotion reached more than 600,000 consumers who visited the participating Hey_Yo outlets during the promotion. According to Hey_Yo’s internal analysis, sales value of all cranberry products amounted to USD220,550. The most popular product during the promotion was Cranberry Cheese Europe. 9,398 pieces were sold in the month. Subsequent to the promotion, three cranberry products – Cranberry Cheese Europe, Cranberry Cracker, Cranberry Toast have been added to Hey-Yo’s regular product range.